1957. 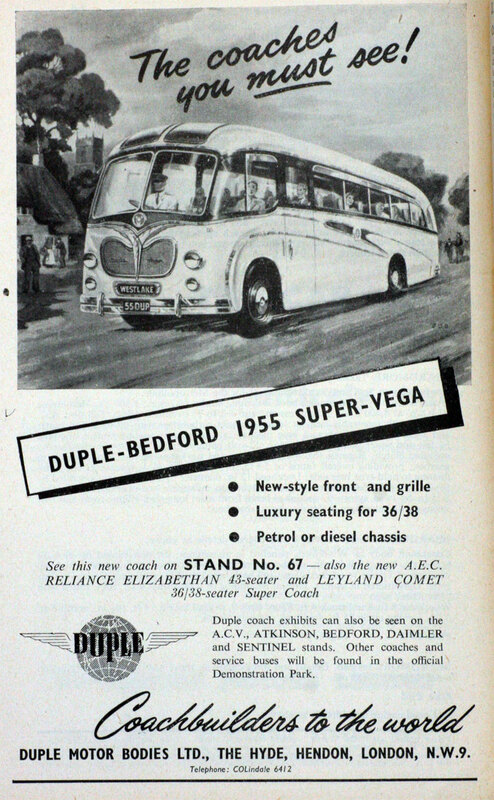 Bedford Duple Vega. Reg No: WPT 738. 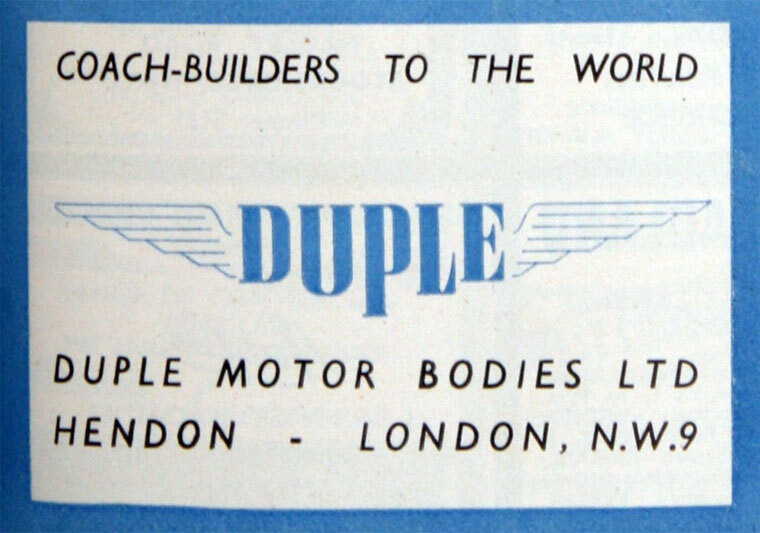 1960 Duple took over H. V. Burlingham of Blackpool. 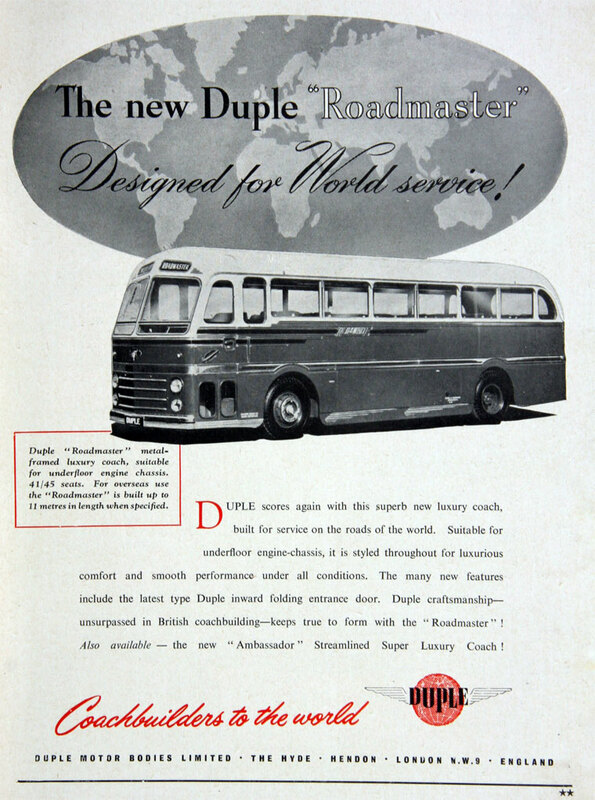 1961 Manufacturers and designers of luxury coach and service bus bodies. 800 employees. 1974 Developed a prototype three-axled semi-articulated bus, in which the engine and auxiliary services are carried on a demountable extension behind the passenger carrying section. 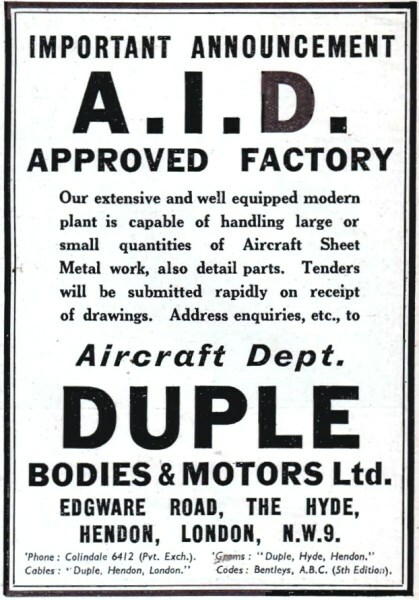 1983 Duple became part of the Hestair Group. 1984 Duple exhibited the Integral 425 model at the Motor Show. 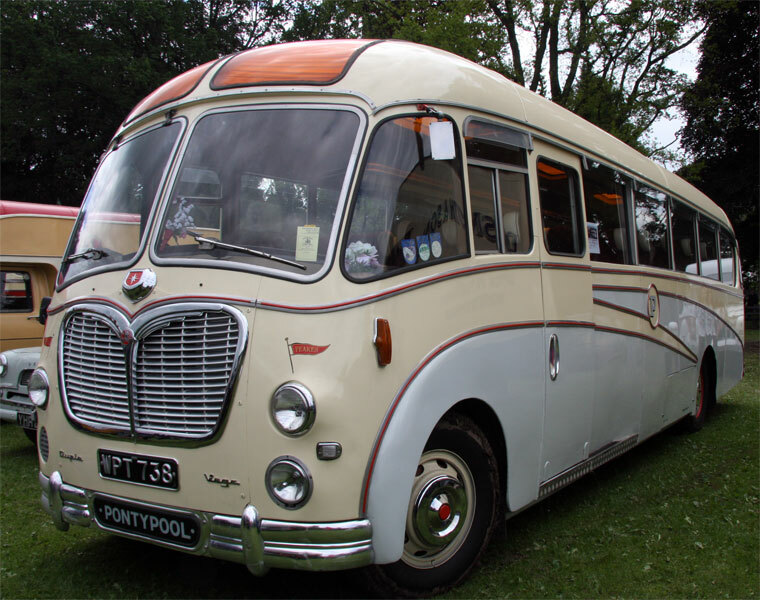 1989 Plaxton's bought the manufacturing rights for the coach products of its main domestic competitor, Duple, for £4 million. 1990 Hestair closed down Duple. This page was last edited on 24 December 2018, at 12:22.